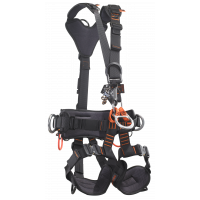 Get the Ferno CENTREPOINT 2 Full Body Safety Harness S,M,L (VHI CEN FB 2) delivered. Save on Roof Safety equipment with our low prices. The Ferno Centrepoint 2 Full Body Harness is a versatile and comfortable harness that can be used for a multitude of rescue applications.